The single most annoying thing about the Google Nexus 4 is that if you want to buy one, you have to be extremely patient. The demand for it is so high that as soon as new stock arrives at the Play Store, it gets sold out in a matter of hours. Thankfully, T-Mobile comes to the rescue. The nation's fourth largest carrier should have the smartphone on sale it is outlets pretty soon – no later than the end of January. 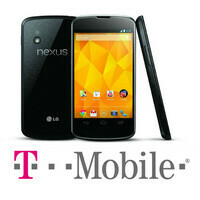 However, those of you who want a Google Nexus 4 from T-Mobile should act swiftly. If this leaked spy image is to be trusted, T-Mobile outlets will have only a handful of units in stock, which we believe will find their way to a buyer's pocket soon after their arrival. The store where this image has been captured, for example, is expecting only 5 Google Nexus 4 smartphones (storage capacity is unspecified) to arrive at an undisclosed date. So get the tent out, fill a back pack with snacks, and start camping in front of your local T-Mobile store in case you desperately want a Google Nexus 4 smartphone. Unfortunately, the exact date of the new stock's arrival is still a mystery. 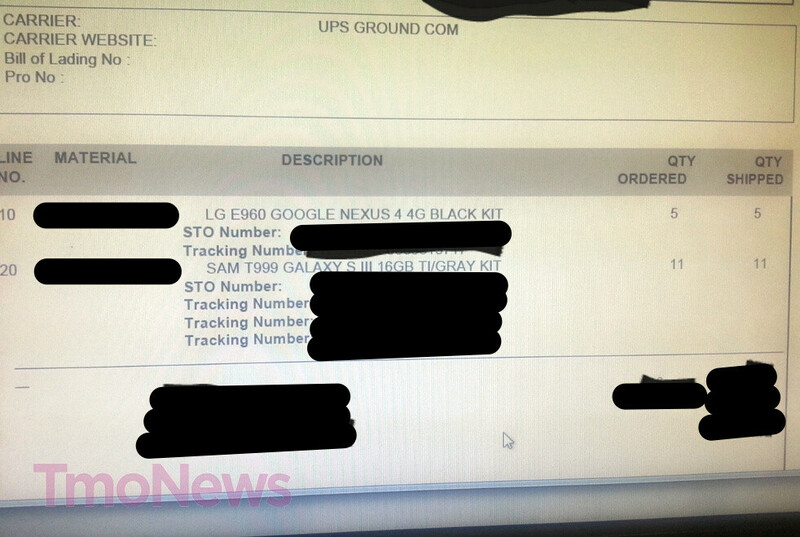 Nexus 4 will already be a history when those who ordered it will get hold of it. The whole Android ecosystem is moving too fast. lol, that's very true. Now people are talking about Xperia Z and GS4, but N4 is still a great phone especially when you can have pure stock Android and Google upgrade. I don't understand how google can have so many problems keeping the Nexus 4 in stock. They have plenty of resources. google is teasing apple with these super low priced high end phone. They will lose a lot of profit by selling it so low. teasing means they will not be very serious about it. They will destroy the whole industry, including their own business, if they sell N4 at the price w/o restriction. It's not all Google, it's LG as well. LG isn't as big as Apple or Samsung, so they can't produce as many units as they would like to.